A multi-purpose skin composition which functions as a sunscreen, an anti-perspirant, an insect/pest repellant and/or an antiseptic is disclosed. In some illustrative embodiments, the multi-purpose skin composition includes a powdered repellent formulation having a substantially homogenous powdered mixture including corn starch powder, zinc oxide powder, peppermint powder, basil powder, rosemary powder, eucalyptus powder, copper mica powder and silica powder spheres. In other illustrative embodiments, the multi-purpose skin composition includes a powdered relief formulation having a substantially homogenous powdered mixture comprising corn starch powder, lavender powder, peppermint powder, eucalyptus powder and silica powder spheres. 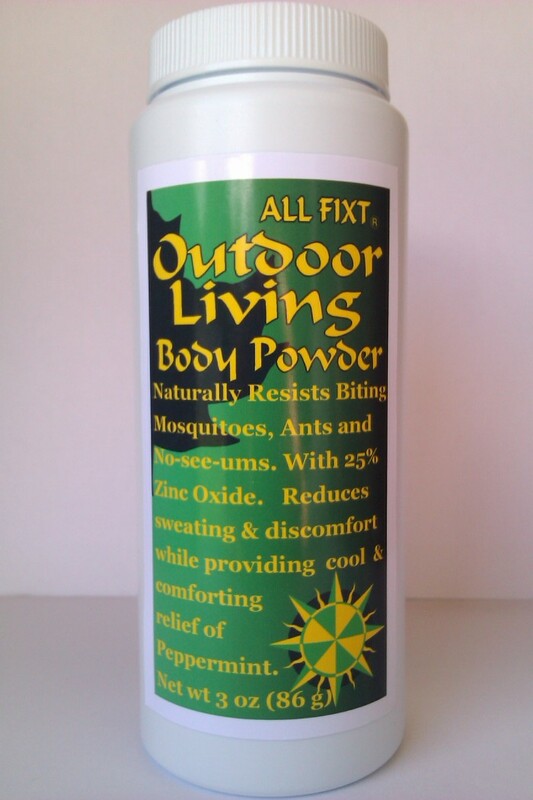 Outdoor Living Body Powder Insect Repellent is safe for continuous wear. Include this with your fishing and camping supplies, and is a comforting cool peppermint relief during hurricanes and natural disasters. Contains natural leaf powders of mosquito resistant Basil, carrot fly resistant Rosemary, and Ant resistant Cool Peppermint. All these organic leaf powders also repel fleas and no-see-ums and are combined with nature’s deodorant of Eucalyptus. All these powdered herbs are freshly Preserved in powdered Zinc Oxide sunscreen. I am looking to either sell outright or partner with someone who can support marketing needs. The market potential is for 100% of the population. 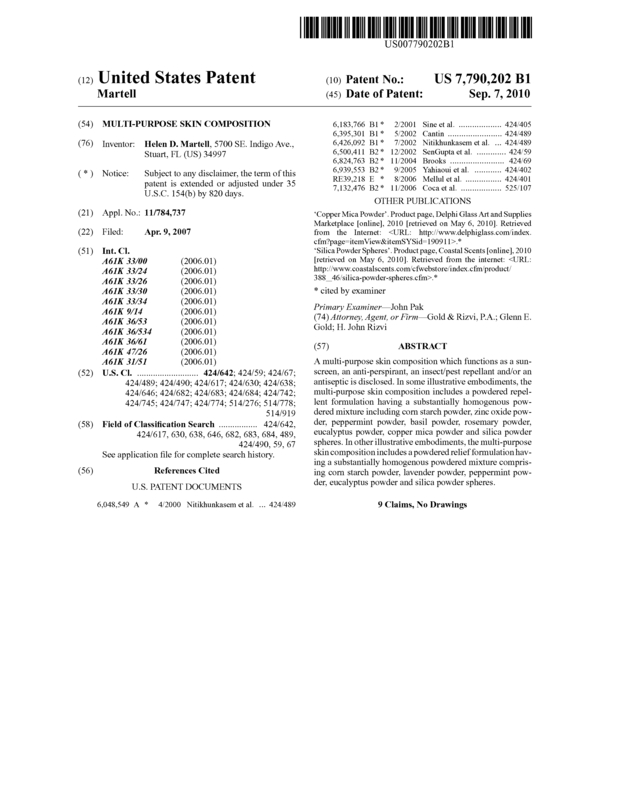 Page created at 2019-04-25 10:06:41, Patent Auction Time.